When: Thursday, November 30 at 7:30 p.m. The team of the Centre for Culture and Technology at UBC Okanagan, including Associate Professor in Creative Studies Aleksandra Dulic, artists Jessica Dennis and Amberley John, worked with media artist and composer Kenneth Newby to create this a multimedia presentation of animated images that are performed in real-time. The Orchid Ensemble and media artists Dulic and Newby have been collaborating since 2006, creating interdisciplinary projects of critical acclaim. Music of the Heavens creates dynamic fusions, both musically and visually. It is an immersive experience that marries the traditional art forms with modern technology and contemporary expression. The artists re-interpret the cosmological stories and oral histories from their own cultural heritages — Greek, Chinese, and the Indigenous’ Haudenosaunee culture, and explore the meeting of cultures in their collaborative process with community members. 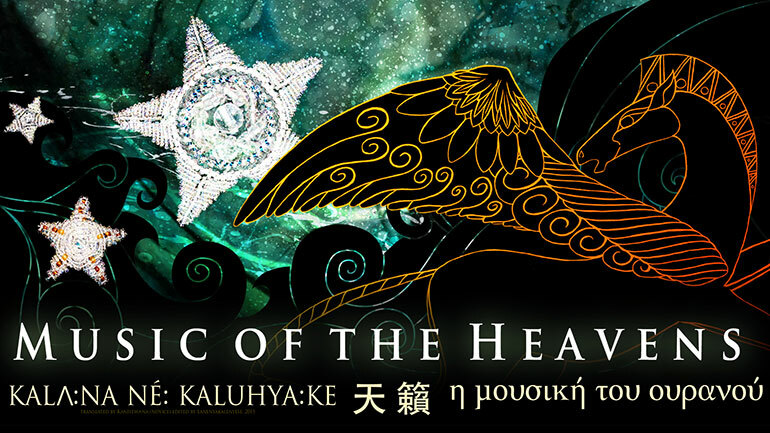 Each story is connected to a season, and characters from the heavenly world travel through time and space as the night unfolds, highlighting different cultural beliefs. Celebrating its 20th anniversary, the Orchid Ensemble is known for its cross-cultural, innovative works, performing diverse styles ranging from Taiwanese, Chinese, world and new music to jazz and creative improvisation.